KINGSTON – Several Caribbean countries have ordered the immediate ban on the sale and importation of corned beef from Brazil, following reports that several major meat processors in the South American nation have been selling rotten beef and poultry. Several countries have gone as far as banning all meat and meat products from Brazil, where it is alleged that companies involved in the illegal practice paid hefty bribes to auditors in exchange for fraudulent sanitary licences. The European Union, China and Chile decided to halt some meat imports from the South American country, and Jamaica was the first Caribbean country to follow suit, with the Ministry of Industry, Commerce, Agriculture and Fisheries saying the companies implicated by the Brazilian authorities in the scandal supply 99.5 per cent of the corned beef on the local market. Minister Karl Samuda yesterday called an emergency meeting with officials from the Ministry of Health, the Consumer Affairs Commission, the Bureau of Standards Jamaica, the National Compliance Regulatory Authority, and the Jamaica Customs Agency. The ministry also convened a meeting with major distributors and importers of corned beef. Besides the temporary ban, a temporary hold has been placed on all permits for the importation of corned beef from Brazil; and all corned beef is being pulled from supermarket shelves. 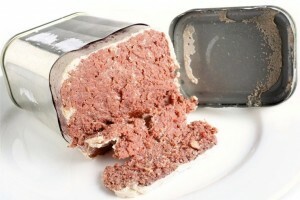 In the interim, the ministry said the Bureau of Standards Jamaica will conduct chemical test profiles to ascertain the contents of corned beef on the market, and the ministry’s Veterinary Services Division will conduct microbiological and residue tests to ascertain whether contaminants are present in the products on the local market. Jamaican conglomerate GraceKennedy, although complying with a directive to withdraw from sale its corned beef from Brazil, said in a release last night that its suppliers in Brazil have consistently qualified for and retained the British Retail Consortium (BRC) standard which sets out stringent requirements related to manufacturing, food safety and quality control systems. “As a result of this issue, a team from Grace Foods has planned an urgent trip to Brazil to meet with our suppliers and do further investigations around the concerns raised. The company has already been working proactively with retailers to pull the product from the shelves in the Jamaican market . . . and intends to do the same in all affected markets,” it said, adding that consumers would be fully refunded for Grace Corned Beef returned to any retailer. In Trinidad, the Ministry of Agriculture also issued instructions for a recall of the potentially tainted products. Minister of Agriculture, Lands and Fisheries Clarence Ram­bharat announced a hold on the issuing of any new import permits for Brazilian meat and a recall of corned beef, chicken nuggets and patties imported from Brazil. However, president of the Supermarkets Association Dr Yun­us Ibrahim has urged consumers not to panic. He said it was highly unlikely customers have been consuming spoilt meat. The ban on the importation of all meat and meat products from Brazil is in effect in Barbados as well, pending further investigation as to whether any of the tainted products had reached the island. Senior veterinary officer Dr Mark Trotman advised retailers to withdraw all Brazilian meat products from their shelves and also warned consumers not to purchase corned beef or other canned meats manufactured in Brazil until the investigation was completed. “As part of our investigations, samples of product are being collected and will be analyzed by the Veterinary Services Laboratory and the Government Analytical Services Laboratory,” he disclosed. Other countries, including St Lucia, are discussing whether they should implement a similar ban.